BEST Hawaii Magic Shows (GREAT Illusion Entertainment) WOW! The word magic is widely used in conjunction with the Hawaiian islands. What isn't magical about beautiful sandy beaches and perfect weather. As soon as you step off the plane you feel the magic in the scented breeze which is perfumed by thousands of flowers, the soft almost musical sounds of swaying palm trees and the feeling that you've just arrived someplace very special. In Hawaii everything is deemed magic. There's the Magic Island, the Magic of Polynesia, the Magic Sands Beach Park, Magic Sports Fishing...well you get the point. 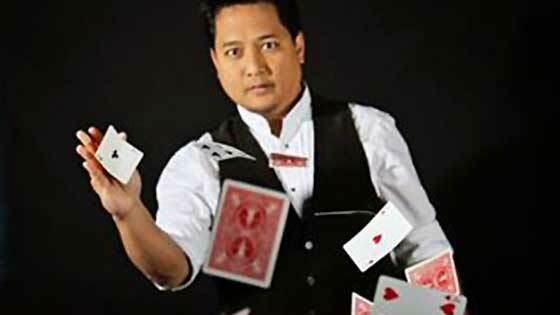 Everyone is cashing in on the word "magic" when it comes to Hawaii, but what about magic shows? Well you will not be disappointed as Hawaii isn't all just pretty sunsets and tasty cocktails. You will find magicians in Hawaii too, so keep reading and you will find all the magic Hawaii has to offer. At least as far as performances goes. For Magic Sports Fishing, I'm afraid you'll have to keep googling! 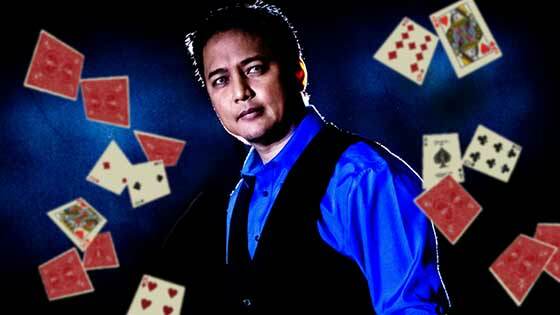 Enjoy and evening of magic with Warren Gibson or one of his many guest comedy magicians. 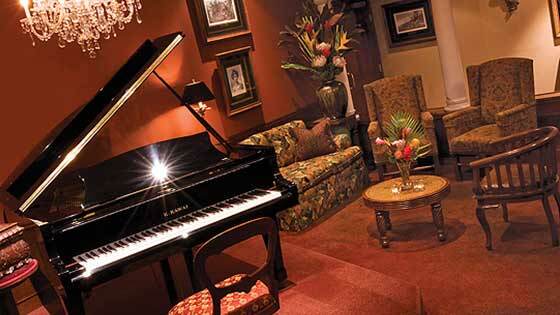 The evening includes two hours of dining and drinks while listening to the resident ghost Annabelle play the piano. She even takes requests. Then two hours of up-close comedy magic. 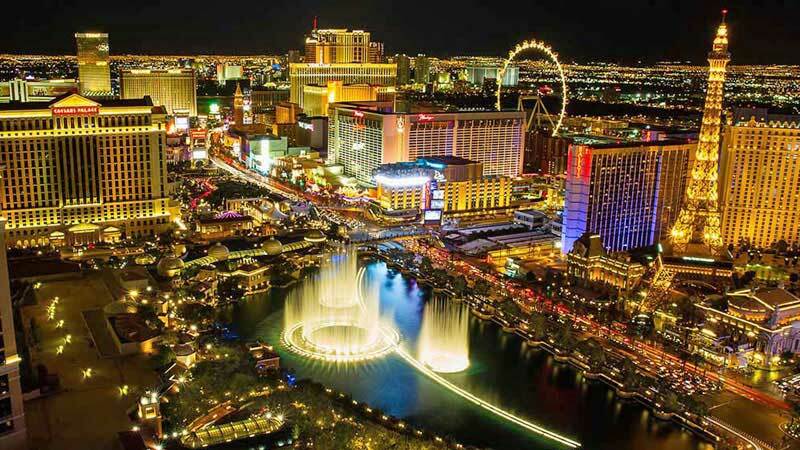 Buy just a show ticket and purchase your food and drinks separately, or get the all inclusive ticket called the Royal Flush Package and you'll get food, drinks and the show. When all is said and done, count on spending four hours at Warren and Annabelles. The theatre seats 78, and shows often sell out so reserve in advance. There are two shows per evening and you must be 21 years old or older. Brenton and his Bag o' Tricks is a whole heap of high energy fun for the entire family. Brenton loves to see people smile, laugh and generally feel like a kid again. His Tuesday evening magic and comedy show has something for everyone and will definitely have you laughing out loud. With lots of audience participation, clever tricks, a super reasonable ticket price and plenty of good food on the menu, there is no reason not to go see Brenton while on Maui. In the center of Waikiki you will find a large scale Vegas-style magic show blended with Polynesian music and dance. Magician John Hirokawa has created this evening of illusions, Polynesian Hula, Tahitian and Fire Dancing. Add to this the option to make it a dinner show. The show is enjoyed from the same table where dinner is served. If you like a lot of spectacle and enjoy some hip-shaking, fiery entertainment, then this is your kind of show. Tickets for show only are also available. Not that hungry? There is also a show with bento box option. Mark Mauricio has a new show at the Hale Koa Hotel in the Warrior's Lounge. Kick back with a cocktail and some appetizers and enjoy this up-close show. 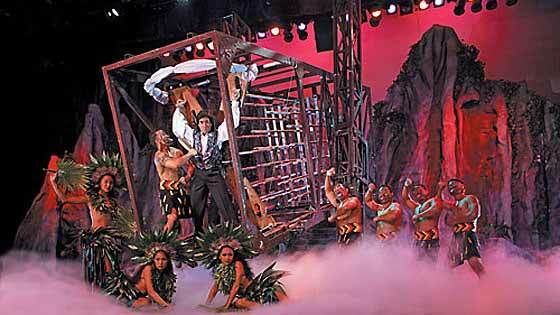 Mark is well-known in Waikiki for his many years doing the Magic in Paradise Dinner Show. Mark is a true professional and is dedicated to being an entertainer and a true showman. The only thing to take into consideration if you wish to see his show is that the Hale Koa Hotel is an Armed Forces Recreation Center which means if you don't have any kind of military ID or connection, you'll have to come to the show with someone who does. 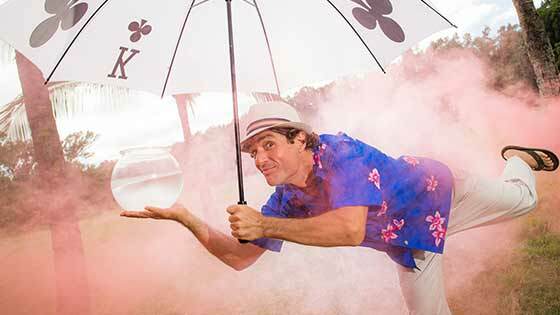 See Kozak the Magician (or Kozy for short) at the Shops at Mauna Lani. Kozy's brand of comedy magic is a blend of improv comedy and magic, where no two shows are exactly the same. From comedy clubs to the Palladium Theatre in London, Kozy has seen and done it all. He advertises Forbidden Tiki Magic and Happy Voodoo Comedy along with coconuts and cocktails. Sounds like fun, doesn't it? The age limit is 18 and over, and you can easily find several restaurants at the Shops at Mauna Lani for dinner and cocktails before the show. One of the most beloved and best known magicians of the 19th century was John Henry Anderson who was born in Scotland and who became known as Professor Anderson, the Great Wizard of the North. He was born in 1814 and eventually gained fame world-wide, traveling to countries like Australia, Russia and the United States. 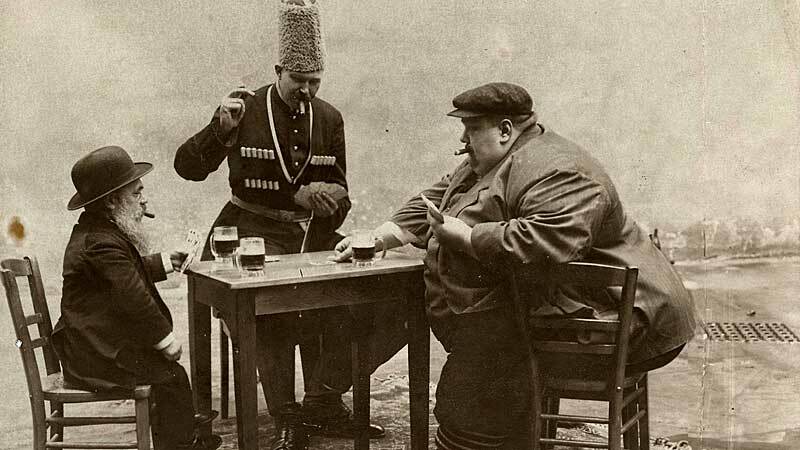 He is thought to be the first magician to perform the rabbit in the hat trick on stage, and he was also well-known for the bullet catch trick and the inexhaustible bottle trick (more on that later). As his fame and popularity increased he found himself and his family traveling the world. But what has a Scottish magician got to do with magic in Hawaii? We'll get to that too. Being a highly intelligent gentleman with interest in other cultures, he shared his travel and performance experiences with those back home by writing letters to his hometown newspaper the Aberdeen Herald. It is because of those letters that much is known about his visit to the Hawaiian Islands in 1859. Although his trip to Hawaii was not planned as part of a tour, he convinced the captain of the ship he was on to make a stop there so that he could perform. He was in fact on his way to America from a year long Australian tour. No doubt he also desired a wee break from what must have been a very long voyage! Professor Anderson arrived with his family in Honolulu on November 1st, 1859 and proceeded to advertise himself and his show. It was said of him that not only was he a skilled magician, but his talents at self-promotion were equal to his powers of prestidigitation. 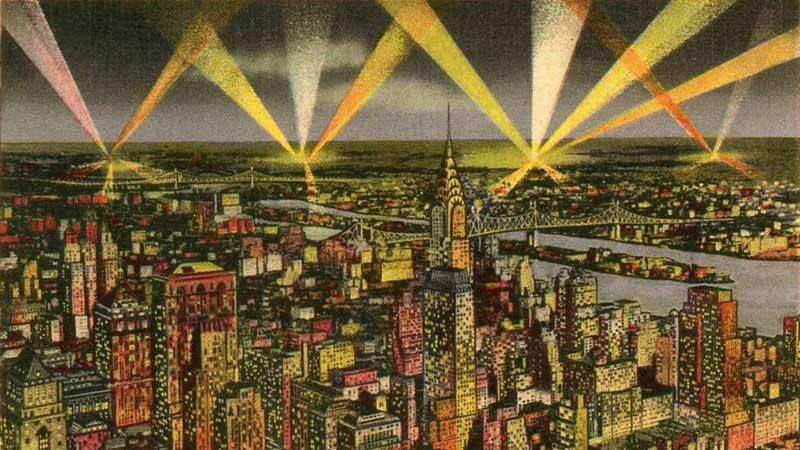 Soon he had a packed theatre of both Americans and natives. He writes in his letters to the Aberdeen Herald that he wanted to be sure that the natives understood that what he did was not supernatural in nature. This however was tricky to get across since the Hawaiian language did not have a word for magic or wizard. During his first performance, while performing the Inexhaustible Bottle, the natives called out for a native drink called â€œokolehaoâ€ which the Americans had banned, and when it ran from the bottle the natives were convinced that Anderson was the devilâ€™s drink-maker. Professor Anderson, being from Scotland, found himself taken under the wing of a fellow countryman named R.C. Wyllie who happened to be King Kamehamehaâ€™s Minister of Foreign Relations. Mr Wyllie insisted on taking Professor Anderson to see the King the following day. 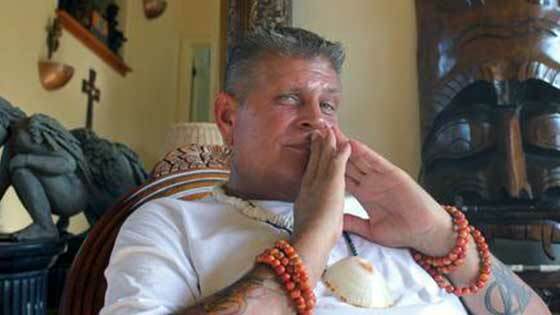 Anderson writes about how much he is impressed with the Hawaiian royal family and they with him. As it turned out it wasnâ€™t the first time King Kamehameha had seen Mr. Anderson and his magic tricks. He had in fact seen one of his performances in London while on a European tour. The King was also supposedly quite pleased with a device that Anderson demonstrated to him that involved a small galvanic battery that caused a shock to anyone that shook his hand. Having used the device on one of the guards at the palace, it further cemented the idea with the natives that he was somehow connected to the devil, which he found quite amusing. This seems to go against his assertion that he wanted the Americanâ€™s to make it clear to the natives that he did not have any supernatural powers. In fact he was well-known to lecture and speak out against spiritualists and mediums and he was devoted, just as Houdini was, to exposing frauds. Perhaps he found it just too compelling to be in a culture so different from his own, that had no concept of magic as entertainment. It was decided that the Royal Family would come to see his show. This created quite a stir since a State visit to the theatre was somewhat rare. The theatre was appropriately decorated and tickets sold like hotcakes â€œat five and six dollarsâ€ for premium seats. That would be equal to about $175 in today's money! It was a grand affair and Anderson himself described it by saying, â€œNo theatre in Europe could have presented a more elegant display of beauty and fashion.â€ He describes in his letters the exact dress of the royal party, including the diamond tiara and necklace of the Queen. He himself was asked by Wyllie to wear his â€œHighland costumeâ€, which was as strange to the Hawaiians as their dress was to him. He found cultural details to be quite intriguing and wrote about them in length. Throughout his descriptions of his experiences in Hawaii, he writes with great respect and appreciation for the Hawaiian people and the beauty of the islands. His writings include many observations and examples of the language as well as descriptions of their dress, dance, and customs which were all very complimentary. In respect to King Kamehameha, he goes as far as to say that, â€œIt would be poor praise to say-"Kamehameha IV is a model King." If Anderson is to be believed, the King and Queen were pretty pleased with him, gifting him with a â€œnative pearl set in goldâ€. Anderson then gifted the king with â€œapparatusâ€ which would allow him to do a little parlor magic. The mutual admiration apparently grew even more when Anderson agreed to extend his visit one more day, and do a special performance to raise money for the new hospital, Queen Emmaâ€™s hospital. Upon hearing this the King himself offered to write the advertising bill for the show in the native Hawaiian language, of which Anderson replicates in Hawaiian word for word in his letters. No doubt the readers back in Scotland would have found the language to be highly strange and exotic. This meeting of a Hawaiian King and a traveling magician who started life as a poor orphan in Scotland is one of those rare stories. We sometimes think of magicians as tricksters or flim-flam artists. Certainly they did not have the respect that an opera singer or concert pianist would have had. Few magicians had reached the status of â€œthe great entertainerâ€ at that time, especially when we consider that the man who popularized magic more than anyone else, Harry Houdini, was not yet born. In fact he was born the same year that Anderson died. After reading some of Andersonâ€™s letters home about his experiences as a touring magician, it is not hard to see why he was so popular. His observations and writings are reflective of a man with an appreciation for other cultures and a kind and generous nature. Houdini in fact revered him as one of his inspirations and personally paid for the upkeep of Anderson's grave site after learning it had fallen into disrepair. It is possible to suppose that Anderson's professionalism, openness and kindness were all things that inspired Houdini, helping him to reach the heights that he did. Mark Mauricio and his family present a kid friendly dinner show with an all-you-can-eat buffet. This popular show is a fun night out for both you and your kids, and everyone gets to leave with a full belly and a smile on their face. The show is fun, thrilling and full of surprises. Mark is an amazing professional, and has a devoted following of people who see the show every time they visit Honolulu. There's more than enough magic for everyone in Hawaii. So after a great day at the beach and an amazing sunset, head out and catch some of that Hawaiian magic. The kind that has you saying "How did they do that?"